According to the Remodeling 2018 Cost vs. Value Report?, there are a few improvements that consistently rank among the highest in terms of return on investment. While each circumstance is unique, there are some improvements that will offer a homeowner a great bang for their buck. 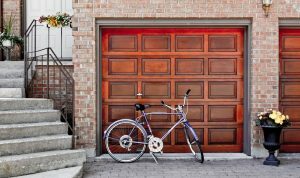 Ranking highest on the return ratio is changing out your garage door to an attractive, upscale door can offer a nearly 110% return on your investment. It makes sense to always consider the improvements that add to your curb appeal because it is the first thing a prospective buyer notices as they approach the home for the very first time. Generally speaking, an upscale garage door can cost between $3-4k so it is not an insignificant improvement but it is something a buyer definitely notices and it adds considerably to the overall attractiveness of the property. Also a high flying return comes from adding manufactured stone veneer accents to the exterior, making the home seem more upscale and classy. One can expect this type of project to cost $7-10k but the average rate of return is in the neighborhood of 108%. Stone veneer is a feature that a perspective buyer is sure to notice immediately, and it just might separate that home from its competitors, leading to a higher price and quicker sale. Another dependably high return on investment comes from the addition of a wooden deck, coming in at about 81% recoupment. People want to enjoy the interior of their home, of course, but they also value being able to utilize the surrounding open space, and a wooden deck is a great way to do so. Size dependent, this project can range from a few thousand dollars to upwards of $10k. It makes even more sense to do this sort of project early on in your ownership period so that you might also gain some enjoyment from it while you live there.